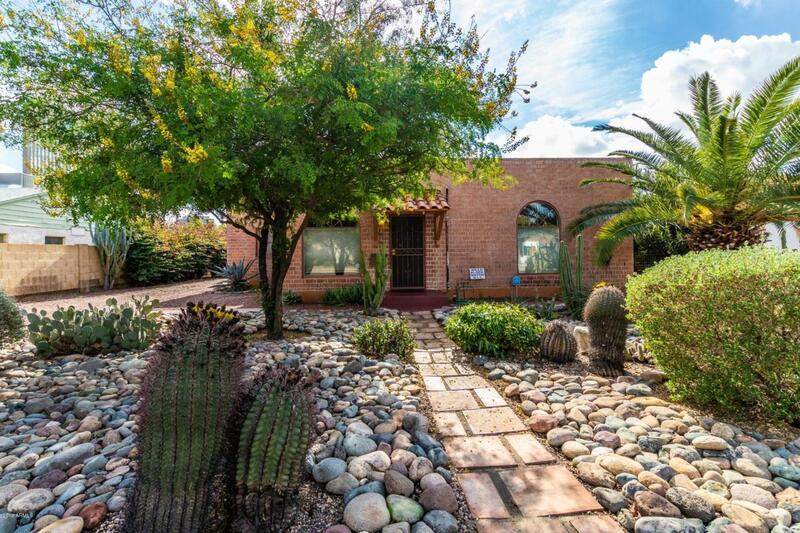 Charming restored red brick bungalow in the highly sought after Willo Historic District. 3 bdrm home with stained concrete flooring, arched doorways, coved ceilings and brick fireplace with mantel in living room. French doors lead out to a lovely back courtyard. Kitchen updated with slab stone tile counter & white ceramic double sink. Inside laundry rm & security system w/camera is owned.Front bedroom includes built in shelves & desk, a Murphy bed and a walk in closet. Freshly painted and new carpet 1/19. Conveniently located walking distance to shops, restaurants, St. Joseph Hospital, the light rail & downtown Phoenix.